This newly built Oregon country craftsman style home offers meadow & mountain views to be enjoyed on its patios and balconies. Lily of the Field is located on 1200 acres of land near Lake Dorena with hiking, bicycling, swimming, sailing & picnic areas. It is a private, charming cottage with a living area and french doors all around, bordered by a patio and flower garden. The beautiful master suite includes a balcony and private bath. Or, on the edge of the woods, stay in a unique gypsy wagon equipped with a bed chamber. Rooms starting at $90. Amenities: Full breakfast. Wifi. Private Bathroom. No Smoking. The Gray Cat Inn is a 1920's Bungalow-style home offering full service bed and breakfast accommodations. The owners welcome you for an overnight, weekend, or extended stay and are confident that you'll feel right at home. The Gray Cat Inn provides a warm and inviting atmosphere, comfortable rooms, a spacious garden, and delicious homemade breakfast. It is centrally located in Cottage Grove within walking distance of historic downtown and local restaurants. Rooms starting at $ 75. Amenities: Full Breakfast. Wifi. Pet friendly. Spa/Hot Tub. No smoking. The Carousel House is a quaint Bed and Breakfast with just two exclusive suites, ensuring top notch comfort that can be lost in larger establishments. 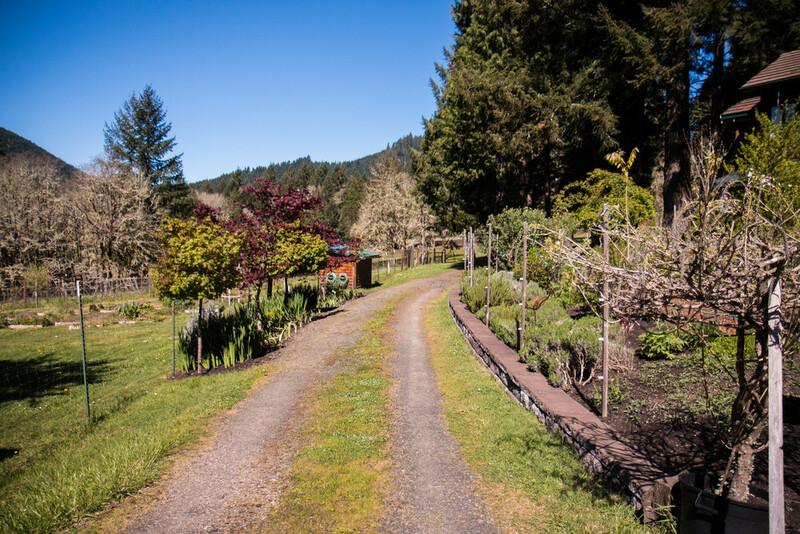 The tranquil and peaceful surroundings make it one of the premier bed and breakfasts in Oregon and an ideal place to spend your vacation. Stroll through beautiful gardens and find simple access to Dorena Lake and Cottage Grove Lake, bike, horse, and walking trails. Rooms starting at $100. Amenities: Full breakfast. Wifi. Air conditioning. Private bathroom. Pet friendly. No smoking. I travel with my horses all the time and it’s hard to find a place where the horses can graze while I sleep. The Carousel House is that place.